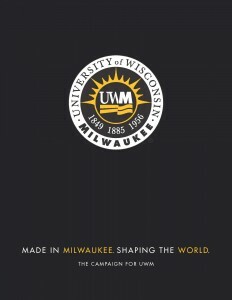 Tribute gifts to UWM serve to honor a special person in your life or to commemorate a special occasion, such as a milestone birthday, graduation, or anniversary. These gifts make for a very personal and meaningful tribute. Memorial gifts are often encouraged by the families of deceased alumni or members of our campus community. Continuing the deceased individual’s legacy through the creation of a fund can provide solace and healing, both during a time of immediate loss and for decades to come. You can specify the name(s) of those you would like to honor or memorialize when making your gift online. You may request that we send a letter to the honoree or family of the deceased, notifying them of your thoughtful gift, but not revealing the amount. If you would like to know whether a specific fund has already been created in memory or honor of someone, please contact uwmgift@uwm.edu.